The kitchen is the heart of the home. It is a place where everyone gathers for conversations, meals, homework and get-togethers. This is also a room that gathers clutter and can easily get “out of control” as family members deposit backpacks, purses, keys, briefcases or wallets. All of these daily items add to what can already be a cluttered room. There are many kitchen organization ideas that can help, though, from DIY storage ideas to cleaning tips. It is important to find the right solution for your needs. Kitchen organization is a good way to kick off your spring cleaning projects and get organized for 2016. 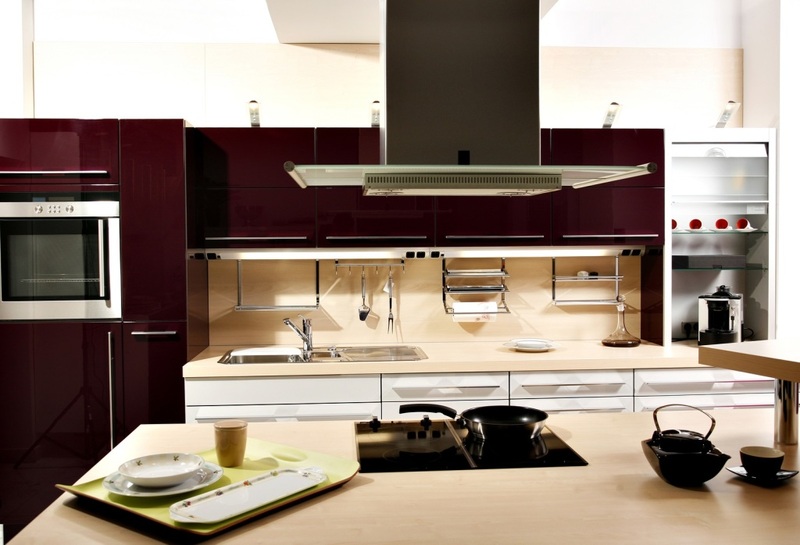 The kitchen counters and cabinets become a place where unused appliances and kitchen accessories sit and gather dust. Family members pass down pots, pans, jello molds, cake pans, storage containers and utensils which end up being placed in the back of cabinets or drawers never to be used again. Everyone has a collection of storage containers without matching lids, and utensils that are used once but never again. There are quite a lot of “amateur chefs” that require every kitchen gadget, but don’t end up using half of them. All of these items end up cluttering counters and occupying space in kitchen cabinets and pantries. Learning how to organize your kitchen is easy to do by just following the few tips listed below. Sort through the excess items in each area in the kitchen. Throw away expired food, broken plates, glasses, and mismatched storage containers. Examine your kitchen accessories and supplies and decide if you will use it again in the future. If the answer is no, then it is time to donate or sell the item. Keep the most essential items in the kitchen on your counters and within easy reach of your main workspace. Clean the empty cabinets and drawers and change the shelving paper before putting items back inside. Also, wash the items before putting them back in the cabinets. Categorize your kitchen cabinets and drawers into smaller groups such as baking items, special occasion dishes or everyday items. Put special occasion dishes and serving items higher up in the cabinet, since they are only used a few times a year. Utilize all of the vertical space in the kitchen and cabinets. Have a step-stool handy to reach the items that are on the higher shelves. Use kitchen drawer organizers for your cutlery and utensils. For decorative yet functional storage ideas, put spatulas and large spoons in a vase or use decorative storage containers, such as mason jars, to store dry ingredients on the countertop. When organizing a food pantry, remove all of the items in the pantry first, clean each of the shelves and the floors. Remove any item that should not be stored in the kitchen. Next, categorize the food items before you put them back on the shelves. Put the items that you will use the most on accessible shelves. Purchase organization baskets and bins to store dry goods, cereals and children’s snacks. A great tip to help prevent overbuying of food and other perishable goods is to keep a running inventory your food pantry items. Make it a daily habit to clean off the counter where bags, keys, and purses get thrown every day. Place a decorative bowl on the counter to put keys and other small objects, so you know where they are. After a week, clean through the bowl or put the items in their proper homes. Create a space in a mudroom or entryway to hang backpacks and briefcases. To keep your kitchen organized, clean up the dishes after every meal. Put them away in their proper cabinets. Do not let mail pile up on the counter. Sort through mail every day and put catalogs and magazines in the recycle bin right away if you do not plan on reading them. After the organization project, you will have items that you no longer have room for in the space. Self-storage is a great solution for storing the items that you cannot part with and might have a need for in the future. Storage World offers a variety of storage unit sizes, in climate and non-climate controlled, that are perfect for any residential storage need. Ask our storage professionals what size storage unit would be the best for your storage needs.